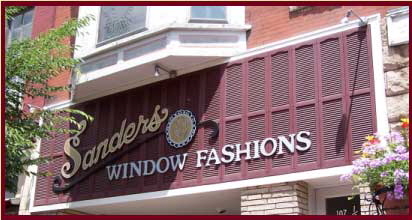 Sanders Window Fashions provides commercial window covering solutions in Central PA.
We strive to meet or exceed your expectations. We specialize in fulfilling custom, unique, modern, eco-friendly advanced commercial window coverings. We provide commercial sales, installation, and repair of window coverings. Our primary goal is always excellent customer service. Our customers represent contractors, building owners, apartments, hospitals, nursing homes, hotels, architects, designers, factories, universities, school districts and many others throughout the entire central Pennsylvania region. Sanders Window Fashions represents some of the finest manufacturers in the world which include fire retardant fabrics, commercial drapery, hardware, manual and motorized window coverings such as mini blinds, vertical blinds, roller shades and more. If you are looking for central PA window treatments, call us first! You won’t be disappointed.